When you’re done updating your iPhone to iOS 11.1 (gotta get those new emoji), you might as well dip into the Apple Watch app and update your wrist computer to WatchOS 4.1. The latest update adds a number of features promised in WatchOS 4, including GymKit compatibility and Apple Music streaming on the Series 3. The highlight of the update, for Series 3 owners, is going to be the new music features. You can finally stream music from either Apple Music or your iCloud Music Library. But there’s also a new Radio app that lets you listen to Beats 1 live, Apple’s other curated stations, or your own custom stations. Don’t have the new Series 3? There’s still plenty of useful stuff in there. 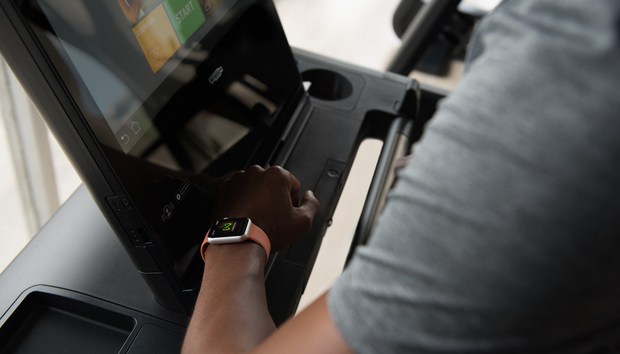 Support for Apple’s new GymKit standard, which syncs your watch to supporting exercise equipment, is a big deal. It’ll take some time for new equipment supporting GymKit to roll out, and then your gym has to buy new gear, but it’s got to start somewhere, right? Oh, and there are a handful of bug fixes and security updates, including a fix for the KRACK Wi-Fi vulnerability. Apple’s full list of changes is below. To update your Apple Watch, open the Watch app on your iPhone, scroll down and tap on General, then Software Update.